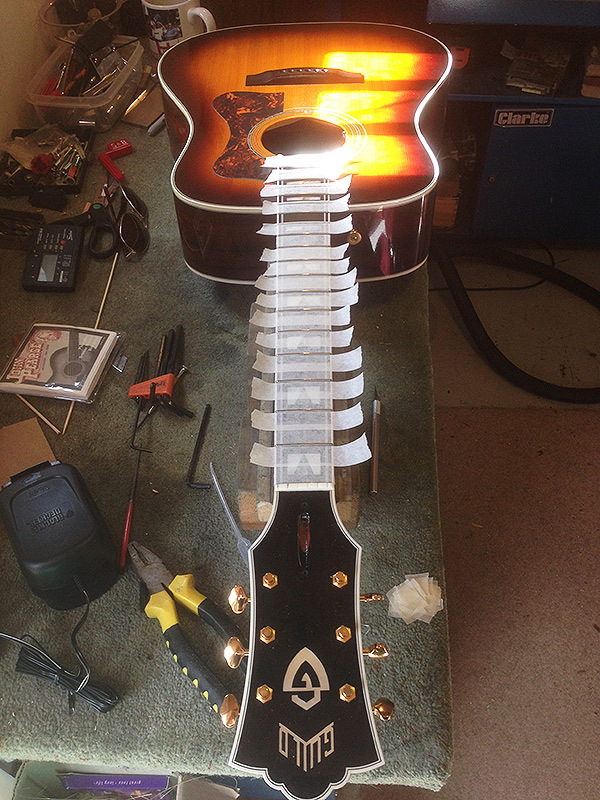 Prepping a Guild D-55 for a deluxe setup and fret dress. 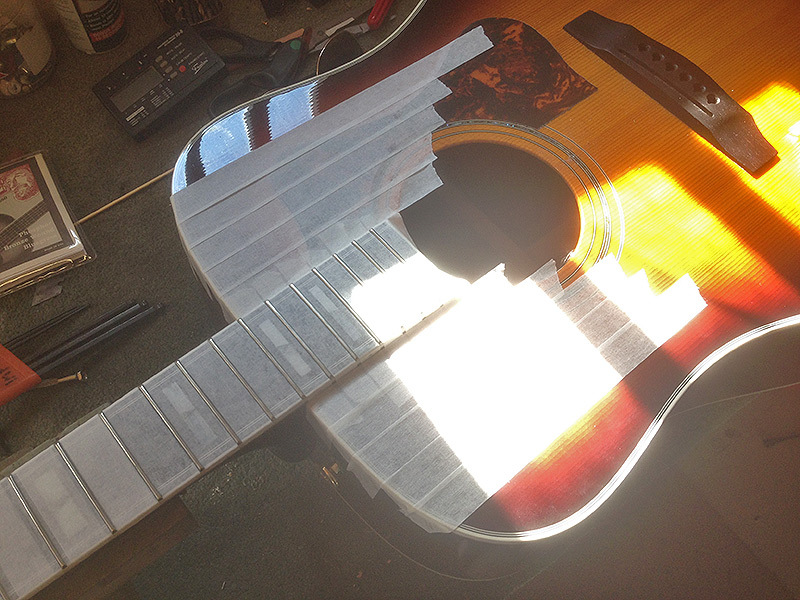 The D-55 Guild’s top of the range model. Introduced in 1968, it’s probably one of my favourite dreadnoughts. 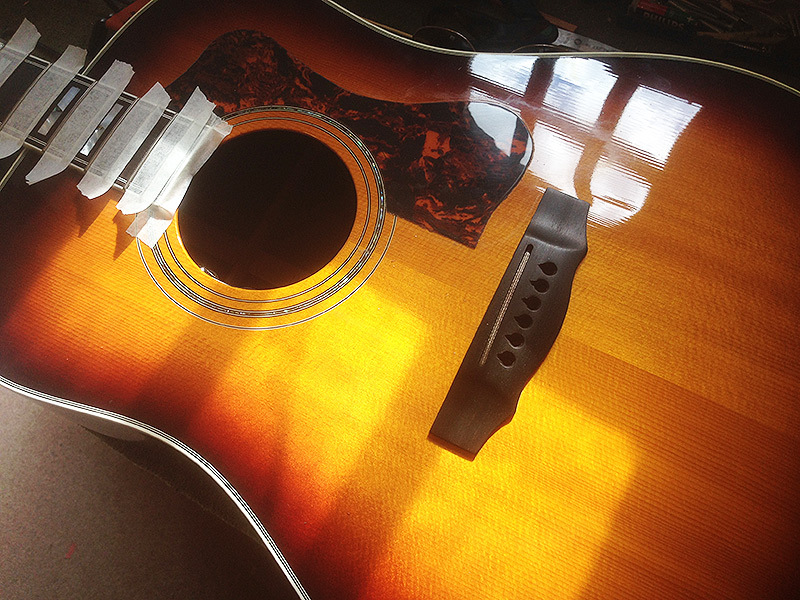 It is highly respected by players for the D-55’s crisp, even sound and elegant cosmetic appointments. This is the Antique Burst top model.